Cornelia is an “accidental author” who started writing when she collaborated with a colleague for a guide to share with clients. A book emerged, but it never took off beyond their respective client base. 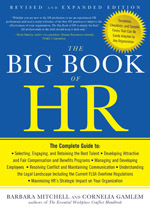 Then in 2011 another colleague approached with an offer to co-author The Big Book of HR. A writing partnership was born. 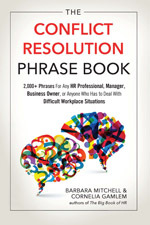 They have since written three additional books, The Essential Workplace Conflict Handbook, The Conflict Resolution Phrase Book, and The Manager’s Answer Book. They collaborate on a weekly blog Making People Matter. Currently they are working on a creative non-fiction book and a whole new storytelling voice is emerging. Having always been told she’s a natural storyteller, she’s turning to that voice within and learning different ways of writing. Cornelia has written articles for major publications including Fast Company, Forbes, and Inc. She’s been quoted in major publications including the Wall Street Journal, the Financial Times, Fortune, The New York Times, Forbes, CEO Magazine, The Globe & Mail, Newsday and HR Magazine. Most of her career was spent in a senior HR leadership role with a Fortune 500 IT services company before starting her own management consulting firm. She served on national task forces that influenced public policy, testified before the EEOC and served in volunteer leadership positions, including on the national board with the Society of Human Resource Management. 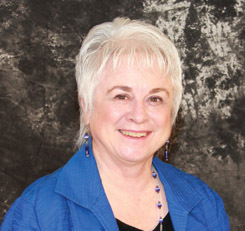 She has also served as a technical editor for McGraw Hill Education. The biggest challenge to writing is constantly and continually promoting your books and learning all you can about emerging platforms, social media, and public relations. Congratulations, you’re a manager! Of course you have expertise in the field you’re managing, but what about everything else? There’s so much more to know! Whether you’re a new or seasoned manager, your responsibilities can become overwhelming at times. There are days and new situations that will leave you feeling vulnerable. You don’t know where to start or even what to ask! 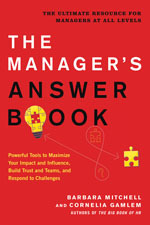 The Manager’s Answer Book can help. In question-and-answer format, this easy-to-use guide provides information on many aspects of managing. It will help any manager stay informed and avoid unknowingly tripping over a new situation. No one wants to go into a tenuous situation blind and fumbling for words. Rather than shy away from a difficult situation or conversation, The Conflict Resolution Phrase Book, is the ideal resource to help anyone prepare for and prevail in these situations. Some situations are unpredictable, and you can’t plan for every conversation—but having the right words on hand empowers you to stand up to conflict rather than run from it. The more you practice confronting and even embracing conflict, the stronger that habit will become and the less likely you will feel like fleeing from a difficult situation. The Conflict Resolution Phrase Book is a great resource that everyone should have at their fingertips to approach any difficult situation with the assurance that the words will come out right! 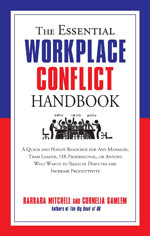 Using examples drawn from a wide range of corporate and entrepreneurial experiences, along with checklists and other practical tools, The Essential Workplace Conflict Handbook will help employees, managers, and business owners in having positive interactions and effective communications in the workplace.